Presiding over Spitalfields for three hundred years, Nicholas Hawksmoor’s Christ Church in Commercial Street is the East End’s most enduring landmark and it has caught the imagination of many artists. Yet perhaps Leon Kossoff (born 1926) has captured its awe-inspiring scale more effectively than anyone else in a recurrent series of paintings and drawings executed over the past half century. Born just half a mile up the road in Shoreditch, Leon grew up on the Boundary Estate where his family ran a bakery but, at the age of nine, a trip to the National Gallery inspired him with a love of painting which was to become the consuming passion of a lifetime. When his school was evacuated to Norfolk in 1939, Leon had the good fortune to stay with the Bishop family in Kings Lynn who encouraged his interest in art, which led him to make his first paintings and, on his return to London in 1943, he enrolled for art classes at Toynbee Hall. Even before he ever drew it, Christ Church was a landmark on Leon’s landscape, both culturally and literally. Built with the proceeds of a coal tax in the early eighteenth century, Christ Church was constructed as an emblem of power to impress the Huguenot immigrants of Spitalfields and encourage their conversion to Anglicanism. Its overbearing scale makes the onlooker feel small, yet equally it offers the converse experience to those leaving the church, to whom, elevated upon the steps of the portico, the world appears spread out below. For the child of first generation immigrants, such as Leon, the building was a constant reminder of his place in the continuum of successive waves of immigration which have come to define the East End. 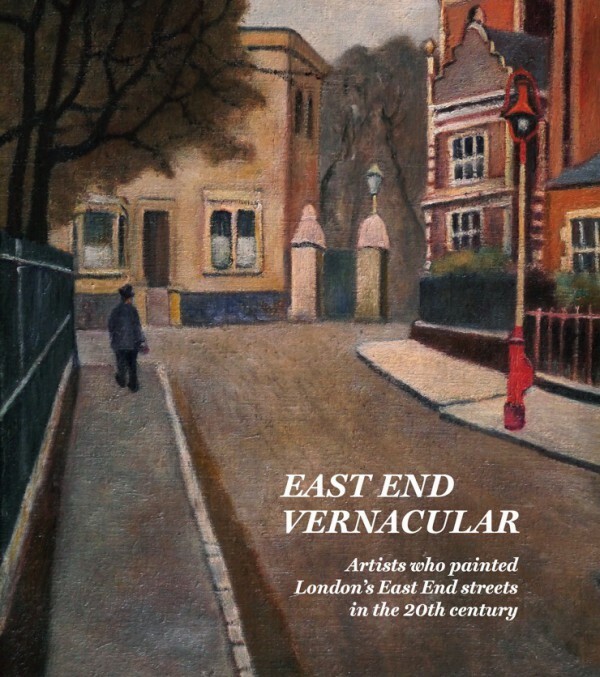 Leon first drew Christ Church in the fifties when he was living in Bethnal Green and the building was derelict, returning to the subject again in the seventies when it was under threat of demolition. But it was not until the eighties, when he had moved from the East End to Willesden, that he undertook drawings which became the basis for his series of paintings of this monumental subject beginning in 1987. This densely wrought painting completed in 2000 embodies both the complex emotionalism of Leon’s personal response to everything that Christ Church represents and the struggle of the onlooker to contain such titanic architecture. After serving in the Second World War, Leon studied commercial art at St Martin’s and then painting at the Royal College of Art. 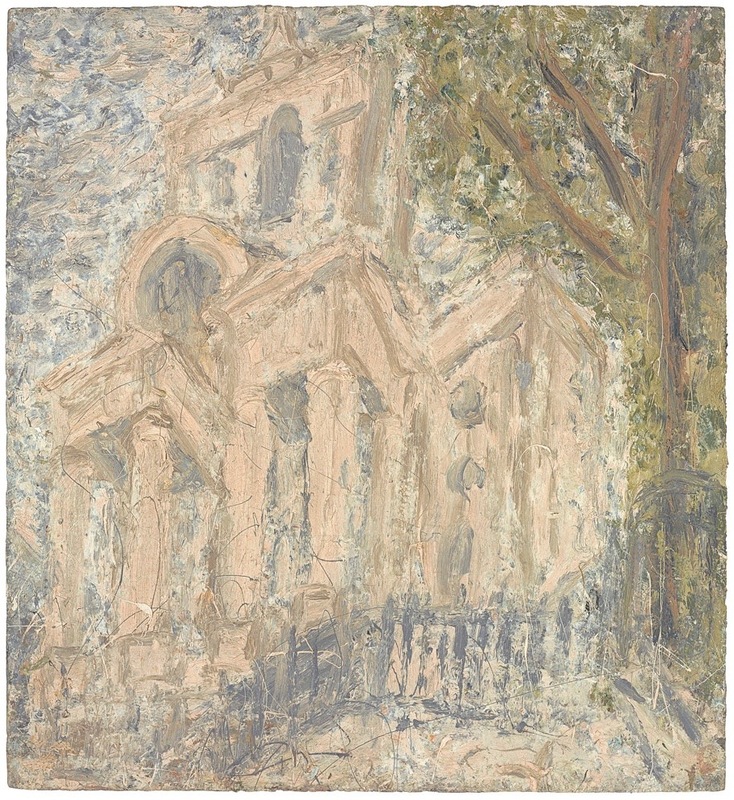 Despite winning international acclaim for his work in recent decades, Leon Kossoff remains a modest, reclusive figure and he has returned to Arnold Circus and the Boundary Estate in the last few years undertaking a series of affectionate, intimate drawings of the urban landscape of his childhood. 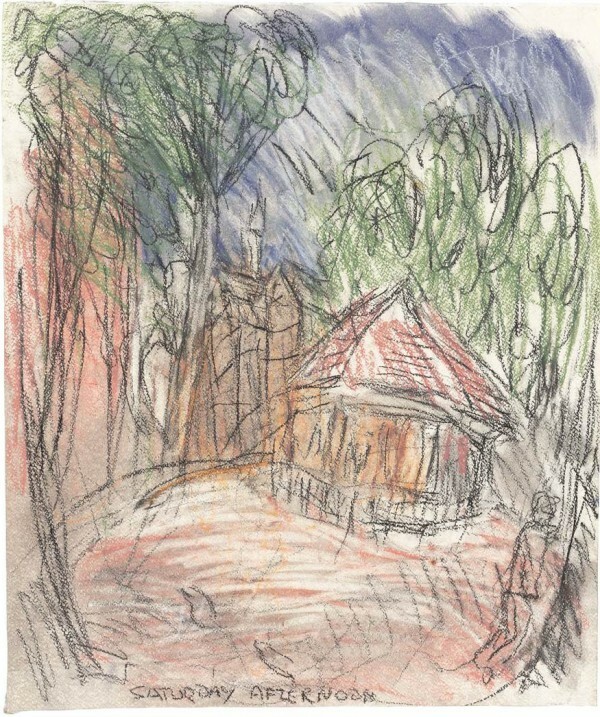 Prints of Leon Kossoff’s drawing of Saturday Afternoon, Arnold Circus are on sale at Leila’s Shop in Calvert Avenue in aid of the Friends of Arnold Circus.